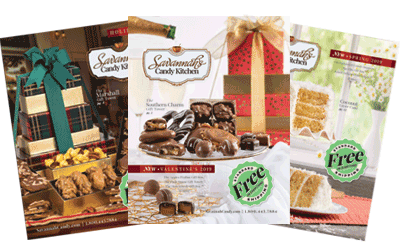 Three classic Savannah Candy Kitchen candies all bundled in one gorgeous holiday gift box! 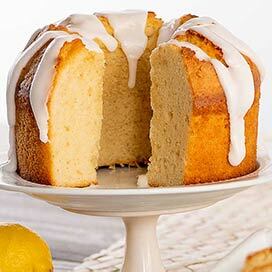 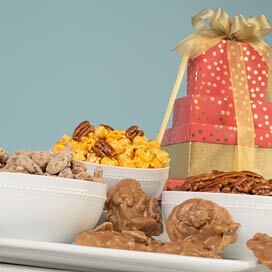 Perfect for Christmas celebrations and Yuletide festivities. 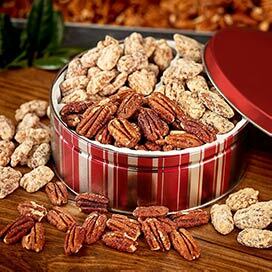 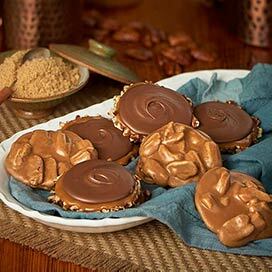 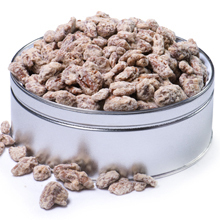 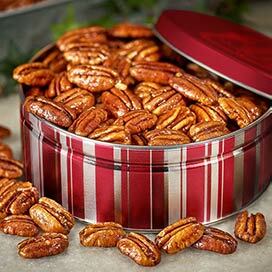 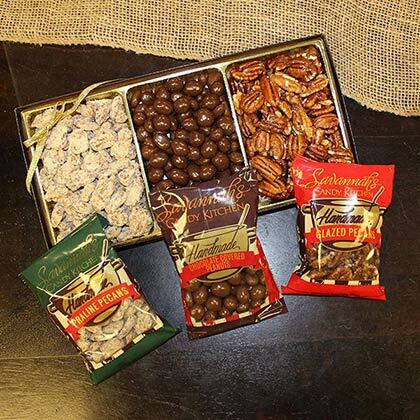 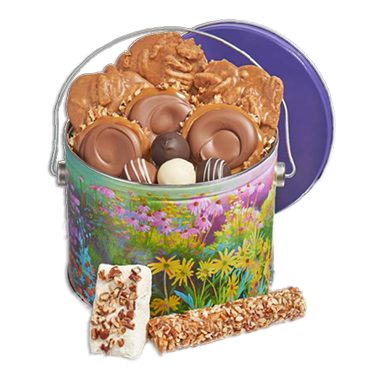 Enjoy an assortment of our candied nuts: Candied Praline Pecans, Milk Chocolate Covered Peanuts, and Glazed Pecans.